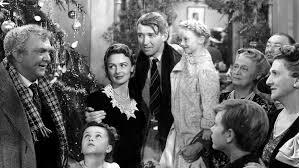 In Frank Capra’s enduring classic It’s A Wonderful Life, some of the most well-known and memorable scenes feature Clarence, the bumbling angel who has yet to earn his wings. 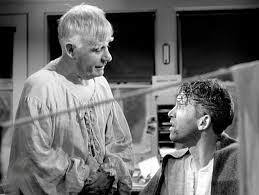 Clarence is assigned the task of trying to help the movie’s hero, George Bailey, realize that his life is worth living. To achieve this, the angel restructures the very fabric of reality, and allows George to see what the world would have been like if he’d never been born. Clarence’s brainstorm succeeds–and George does indeed come to understand that he’s really had a wonderful life. 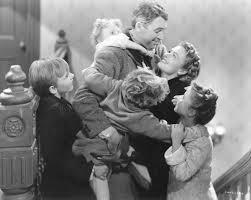 But the ending of It’s A Wonderful Life, while not as fantastic or mind-bending, offers the kind of feel-good (some would say corny) moment Capra became famous for. Corny or not, it remains one of my all-time favorite scenes. 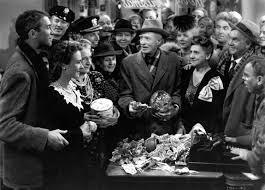 One of the main reasons George Bailey had been in such dire straits to begin with, and why Clarence the angel’s services were needed, concerns a weighty matter of lost money for the family business–the Bailey Building and Loan. If George can’t find the money, he will go to jail. The kind of community spirit and support depicted in this classic film is, in very real ways, kept alive through the WordPress community. I can’t thank all of you enough for your ongoing encouragement and support of The Eye-Dancers blog, and for continuing to read and comment on these ramblings of mine. You are the best. I want to thank Sherri for nominating me for The Shauny Award. If you’ve never checked out Sherri’s wonderful blog (or even if you have! ), A View From My Summerhouse, I hope you will take a few moments now. It’s a great place to stop in for a virtual visit, so please take your time! Before accepting The Shauny Award, I want to thank two other bloggers for recently nominating The Eye-Dancers for two awards–The Sunshine Award and The Dragon’s Loyalty Award. I was lucky enough to have been nominated for these awards previously, but thanks so much to Dear Kitty. Some blog and to Janice at jemsbooks for the nominations! After pulling up a chair at Sherri’s blog, I hope you will visit both of these great blogs as well. I also wanted to take this time to thank Teagan Geneviene. Teagan was the winner of the recent Eye-Dancers promotion, and she was gracious enough to include me in her fabulous blog, inviting me to participate in her very fun and creative Three Ingredients serial. Please check out Teagan’s site–you will be glad you did! And, while you’re at it, I hope you’ll buy her book Atonement, Tennessee, available on Amazon . . .
and Share the Love by giving This Award to 10 others. As such, I am going to break the rules again, simple as they are, for The Shauny Award. Rather than narrowing the nominations to 10, I would like to nominate every single follower of The Eye-Dancers site. You are the number-one reason blogging is so much fun for me, and I hope all of you will accept this award. 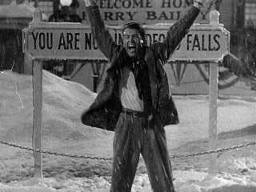 I may not have been about to jump off a bridge, as old George Bailey was in 1946, but when I began The Eye-Dancers blog, I was hesitant, not at all sure how my posts would be received. From the first, you all made me feel accepted and welcomed, and for that I thank you. Because of you, It’s A Wonderful Blogging Life. 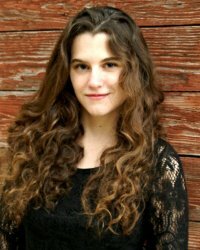 Nearly one year ago, I interviewed author Shannon A. Thompson here on The Eye-Dancers site, and it’s my pleasure to virtually sit down with her again for a second interview. Shannon was one of the very first followers of The Eye-Dancers blog, back in the late summer of 2012, and I thank her for her ongoing support! Last year, I asked Shannon about her great website, shannonathompson.com, which has now grown to include nearly 14,000 followers, and which I cannot recommend highly enough; her novel Minutes Before Sunset (the first novel of The Timely Death Trilogy), which debuted last spring; her views on writing; and the advice she would give to new, aspiring authors. This time around, we’ll discuss what she’s been up to these past twelve months, the new novel she is about to release next month, and her views on the writing process and the way characters have a penchant to do and say things you would never envision ahead of time. So, without further delay, I hope you enjoy the interview . . .
1. It’s been almost one year since our first interview. How have the past twelve months gone for you? How has your website, shannonathompson.com, evolved over this time? Wow! What a question. It’s been a crazy ride. When you last interviewed me in March of 2013, I didn’t even have a contract for my novels. Since then, I have signed with AEC Stellar Publishing, Inc., and I’ve been published twice–one novel and one short story. My novel Minutes Before Sunset has since become award-winning, and the next installment of the series comes out on March 27. I’ve graduated college, and I also work for my publisher now. Like I said, it’s been a crazy ride–a very enjoyable one. My website is where I’ve shared all of my adventures, but I’ve mostly been amazed at how many other readers and writers I’ve connected with over the year. I started off with no followers, and now I’m about to hit 14,000. I am so grateful to be able to speak with so many readers, writers, and dreamers on a regular basis. 2. You have a new novel coming out next month–Seconds Before Sunrise, which is a sequel to Minutes Before Sunset, and the second book in The Timely Death Trilogy. Tell us a little bit about this. Can you give us a summary of your new novel, and how it picks up the story from the first book? The second book starts in August–one month after Minutes Before Sunset ended. The beginning opens up with Jessica, who no longer has a memory, but it immediately shows how the characters have changed and what events are looming over them–the main event being Eric’s approaching birthday. While Minutes Before Sunset revolves around the Dark, readers can expect a new focus in the second book. Seconds Before Sunrise shows what it is like to be a human in a paranormal world, but don’t worry–there is plenty of action and love struggles to look forward to. Here’s the summary on Goodreads. 3. I am in the process of writing a sequel, too, and I find that it has its own inherent challenges. What did you find to be the most difficult aspect of writing a sequel? The most enjoyable? Actually, I wrote the sequel, Seconds Before Sunrise, before I ever wrote the first novel. It wasn’t until I realized that book 2 didn’t make sense without book 1 that I wrote Minutes Before Sunset. I learned a lot writing the trilogy, but I mainly learned how much having a plan can help prevent confusion like this. 4. While writing Seconds Before Sunrise, did you encounter any surprises? For example, did any of your characters sometimes act in certain ways you wouldn’t have foreseen? Oh, definitely! They change so much from the beginning of one novel to the ending, let alone from one novel to the next, so guessing what exactly they will do is nearly impossible. I always have a plan, but I am often taken over by their decisions. The biggest moment in Seconds Before Sunrise that I didn’t plan for at all happens in the last three chapters. Only Eric saw that coming. 5. When, exactly, will Seconds Before Sunrise be released for sale? Where can readers purchase it? March 27, 2014–it will be available through all major retailers, like Amazon, Barnes & Noble, and Smashwords. 6. Of all the many aspects of writing novels, editing them, revising them, publishing them, and promoting them, is there any one thing you enjoy the most? The least? Writing is my favorite part, of course, but I also look at editing as writing. I find most of it enjoyable. I rarely have moments in any part of the process that I don’t enjoy. The closest I get to that is when I’m spending a day promoting when I really have the itch to write. That can be a confusing bummer. 7. If you could, in one or two sentences, sum up Shannon Thompson and what she stands for, and what she hopes to achieve through her writing, what would you say? With my passion guiding me, my dream is to create wonderful worlds, aspiring characters, blissful love, and virtues for readers to complement their everyday lives with. “At sixteen years old, Shannon A. Thompson became the published author of November Snow. At twenty-one, she was featured in Poems: a collection of works by twelve young Kansas poets. On May 1, her paranormal romance Minutes Before Sunset was released by AEC Stellar Publishing. In July, it was awarded Goodreads Book of the Month. It’s the first novel in The Timely Death Trilogy. Her first short story, ‘Sean’s Bullet,’ released in an anthology in October 2013, and her upcoming novel, Seconds Before Sunrise, is expected to release March 27, 2014. In addition to her website, you can find Shannon on Twitter and on Facebook. Please click here to purchase her novel Minutes Before Sunset. Thanks so much to Shannon for doing this interview, and thanks so much to everyone for reading! The mega-summer blockbuster has become a trademark in Hollywood. Each year, as the summer season approaches, there are a select few movies that receive tremendous amounts of hype and fanfare. 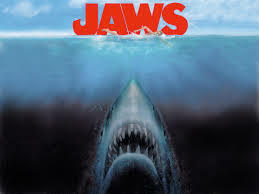 It’s been this way for nearly forty years now–and the film that perhaps started it all was Jaws. Based on the novel of the same name by Peter Benchley, Jaws was hyped as no movie before it ever had been, and it didn’t disappoint. From the time of its release, early in the summer of 1975, to this day, Steven Spielberg’s shark thriller remains one of the all-time classics–and one of my favorite movies. 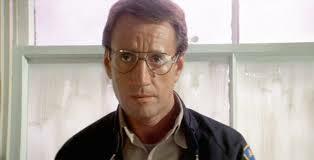 But what makes Jaws great? When you think of the movie, what stands out? Perhaps it’s the opening sequence, where a young woman dives into the ocean, and as twilight descends, becomes the first victim of the Great White that is roaming the waters off of Amity Island. 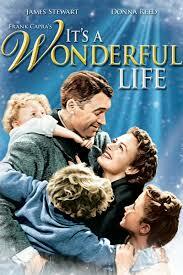 Maybe it’s the unforgettable musical score by John Williams, which has a life, and energy, all its own. Maybe it’s the interplay between the three protagonists–Brody, the beleaguered chief of police; Matt Hooper, the marine biologist flown in to help investigate the attacks; and Quint, the hardened seaman who has an Ahab-like quest to kill the shark. It could be any of these, or more, that stand out, and with good reason. There are many strengths to this film. 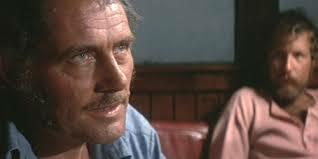 But the one moment, the defining scene in the movie, for me, has always been the long speech that Quint delivers while he, Brody, and Hooper are aboard the Orca, Quint’s vessel, hunting for the Great White. 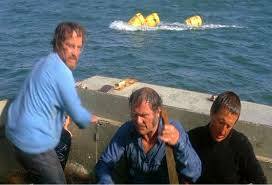 To back up–to this point in the movie, we have witnessed several shark attacks, the local community is in a state of disbelief and panic, and the friction that has developed between Quint and Brody, and especially Quint and Hooper, is palpable. 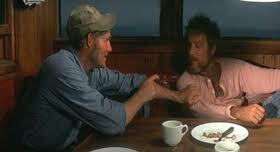 But the scene in which Quint delivers his monologue begins with a dose of male bonding. Quint and Hooper, temporarily setting aside their differences, compare “war wounds”–cuts and bruises acquired over the years, as Brody looks on, amused. This is the backdrop for one of the Silver Screen’s most memorable speeches. When I took a Fiction Workshop as a graduate student, the professor who taught the class had several literary pet peeves. One of them was lengthy, drawn-out monologues. Certainly, in The Eye-Dancers, Marc Kuslanski would love to monopolize his share of conversations and expostulate on the theories of the universe. And over the course of the novel, he certainly does offer a few lengthy explanations of the predicament in which he, Mitchell Brant, Joe Marma, and Ryan Swinton find themselves. 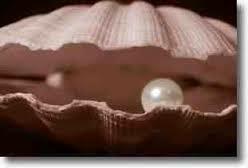 But these are limited in number, and often interrupted by another character’s comments or observations. Nowhere in The Eye-Dancers does Marc ramble on and on for paragraphs on end. Generally, having a character monopolize a conversation to that extent will backfire. It slows down the story, dulls the dialogue with the other characters, and very often provides much more information than we need. But every now and then . . . when the stars align just so and a story calls for it . . . there is indeed a time and a place. Once such time, and one such place, occurs in the cabin of the Orca, as evening sets in over the Atlantic . 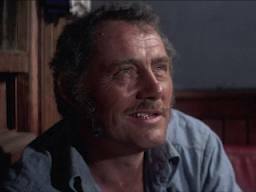 . .
Quint, serious, somber, begins to tell his story . . . He tells Brody and Hooper that he was on a secret mission on the USS Indianapolis, near the end of The Second World War, when disaster struck. “Japanese submarine slammed two torpedoes into our side, Chief,” he says. . . . “Eleven hundred men went into the water. Vessel went down in twelve minutes.” Here, the shark hunter pauses, gathering his thoughts. 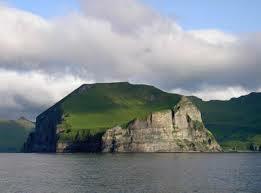 Already we as the audience can see his mind is miles away, in the Pacific, three decades ago . 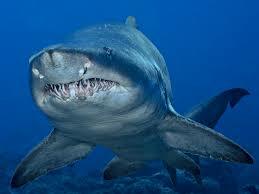 . .
“Didn’t see the first shark for about half an hour,” he resumes. “Tiger–thirteen footer. You know how you know that when you’re in the water, Chief? 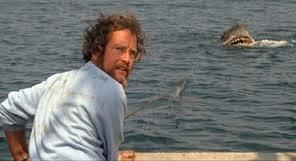 You tell by lookin’ at the dorsal to the tail.” Another pause, as the camera zooms in on Quint’s face. His expression is calm, deliberate, but there is something in his eyes, as he remembers . . . He explains the mission he was on was so secret, no distress signal went out. He and the one-thousand-plus sailors with him were stranded, in the middle of the ocean. They weren’t even listed as overdue for an entire week. The camera pans to Brody, and then back to Quint, who takes a drink. 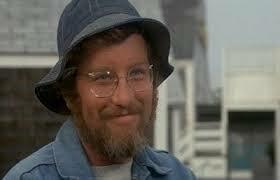 Again, Quint pauses, as the camera pans to Brody and then Hooper, staring at the old seaman, wide-eyed, rapt. 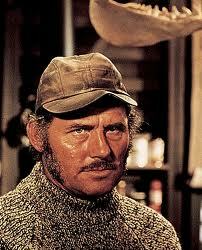 Quint says in that first dawn, they had already lost a hundred men to the sharks. Another pause as the words, the images, sink in, the pace measured. And again we see Brody and Hooper looking on. Quint then explains that at noon on the fifth day, adrift at sea, a passing aircraft happened to see the survivors. Finally, rescue–for the sailors who had survived. 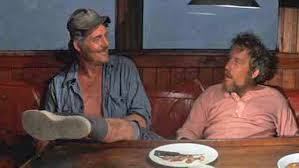 When Quint finishes his speech, Brody and Hooper mesmerized by the story they’ve just heard, there comes the haunting, lonely call of a whale. It is the perfect summation of the scene, a final exclamation point for the mood Quint’s monologue has created. Within minutes, literally, all hell breaks loose, as the shark and its pursuers engage in an all-out war. 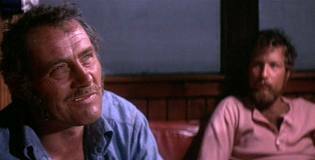 But for me, it is this scene, this speech (masterfully delivered by actor Robert Shaw, who plays Quint and wrote the speech himself) that defines the greatness of Jaws. If, in the story you are writing, one of your characters is yearning to deliver a Quint-like tour de force, it is probably best to show restraint. The speech that brings goose bumps and causes readers (or viewers) to inch forward, to the edge of their seat, is rare–like a precious jewel buried beneath a mound of dirt. There are many more misses than hits. But as with nearly every other “rule” of good storytelling, there are exceptions. It is our job as writers to recognize these exceptions when they occur and use them to maximum effect. A good shark tale should not go untold . . . 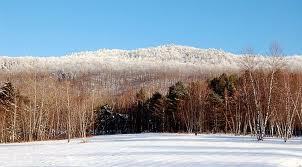 There are places in the state of Vermont, high meadows, where, if you stand in them and look out over the land, you feel as though you’re on top of the world. In winter, thick, crusty snow crunches underfoot; the air, cold and sharp, feels like it will draw blood when you inhale; and your breath rises with the wind before vanishing like smoke. In summer, tall grasses sway in the breeze, the distant hillsides are a palette of green, and, if the sky is clear, you feel like you can see beyond the asteroid belt, out into the far corners of the galaxy. 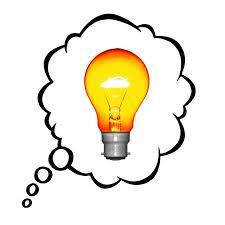 Sometimes in those moments, ideas come, whole, complete–like a lightning strike out of the blue. It is as exhilarating as it is rare. One moment, there is nothing. In the next, you carry with you an idea that screams and kicks and demands release. When this happens, I rush to my PC, open that new Word document, or WordPress Edit form (! 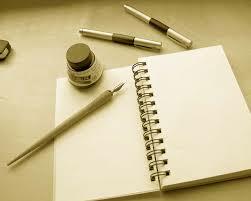 ), and let the sentences come . . . But other times, most of the time, ideas do not arrive as gift-wrapped wholes. 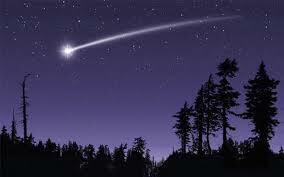 Usually there is but a peek, a whisper, a shooting star that speeds across the canvas of the sky so fast, you barely have a chance to see it. 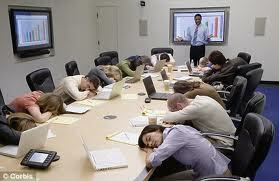 I can’t even count how many times I have experienced this–a germ of an idea, tantalizing, but far from workable. 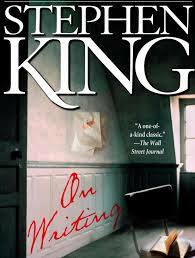 In his memoir On Writing, Stephen King pens that he doesn’t believe stories come from within us. Rather, he says, they are “found things, like fossils in the ground . . . relics, part of an undiscovered preexisting world.” I agree. I have always believed that ideas discover us, not the other way around, and how they discover us, and how much of themselves they share–is often out of our hands. One night, as the 1980s gasped their last, dying breath and while I was still in high school, I had a dream–a dream so vivid, it stayed with me for decades. I dreamed of a girl, six, perhaps seven years old, with an airy, translucent quality to her. 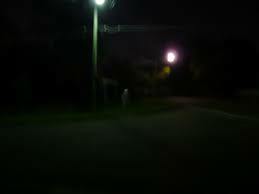 She stood outside, beyond my bedroom window, the light of the streetlamp passing through her–as if she were only partly there. As if she were a ghost. She beckoned for me to come outside, her eyes, even from a distance, appearing so blue that I felt if I looked into them long enough, hard enough, I would see where the universe ended, and began. There was a visceral feel of threat about her. Who was she? What was she? And what did she want? And then, I woke up. 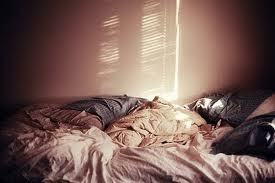 The bedsheets were kicked away, crumpled in a heap at my feet. I looked out the window, wondering if she would still be there. She wasn’t. 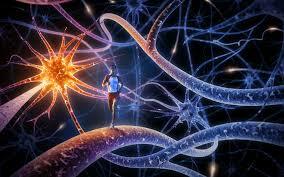 Slowly, my breathing returned to normal, and I wrote down the aspects of the dream that stood out to me. Even back then, decades ago, I knew I had an idea I needed to write about. The thing was–I didn’t know how to incorporate this “ghost girl” into a story. Should she be the protagonist? Or the villain? Should it be a twelve-page short story, or an epic novel? A few days later, I attempted to write a short story about her, but it fizzled by the third page. I had a scenario, a scene. But I didn’t have a story. If there was a story to be told here, it was still hidden from view, shyly concealing itself behind a thick, gray mass of clouds. Several times, I tried to force it, inserting the scene into existing story lines–just to see if it would fit. It never did. As frustrating as it was, I realized I would have to remain patient. The story would bloom and take shape only when, and if, it was ready. The wait lasted nearly twenty years, and then, on a late August night eight years into the twenty-first century, I dreamed of the “ghost girl” again. But this time, upon waking, the mists and clouds had cleared, and I was able to see the story. 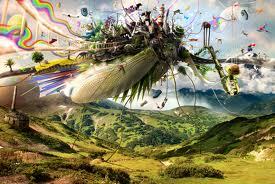 I took a deep breath, amazed, as I always am, at the capricious whims of the creative process. And then I got to work on the first draft of The Eye-Dancers. Just the other day, I had another scene strike me, another partial image, the rest of the story obscured, half-hidden in the shadows, tucked away behind a rocky, impenetrable promontory. Will it ever materialize into something whole? Time will tell. 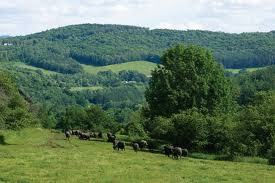 But for now, I return to that high Vermont meadow. 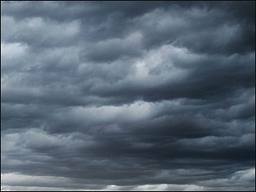 The sky is sealed behind a sea of clouds, gray, thick like lead. 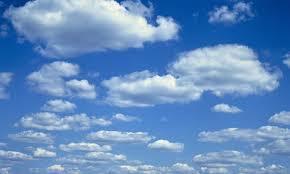 But the clouds will disperse, eventually, the lead will melt away, drip by drip, revealing the blue beyond. And somewhere in that expanse, the entire story lives. I just need to watch, and wait, and hope that it will fall to me, the words and images tumbling down like pieces of the sky. And maybe that’s the most exhilarating thing of all. Knowing that somewhere up there, high above the clouds, a new creation awaits, something with your name on it, for you to tell and share with the world. 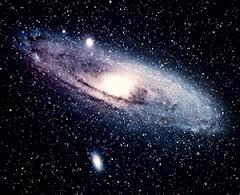 The possibilities are as endless as the sky itself, and limited only by the scope of our imagination. In a single sentence, Chekhov illustrates one of the fundamental tenets of good writing, something so ingrained in writers as to be self-evident; a core principle so universally accepted, acknowledged as truth, it is generally regarded as beyond debate . . . I can’t even count how many times I’ve encountered that piece of writer’s advice in my lifetime. 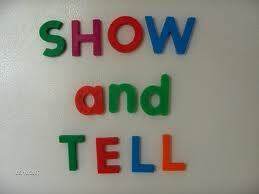 In nearly every essay or book or column on creative writing, “show, don’t tell” is right at the top of the list. And rightfully so. To be able to transport a reader, an author must be able to paint word-pictures that are crisp, clear, vivid–images that resonate and stick in the mind long after the page is turned. Consider the following example from The Grass Harp. Here, in the story’s second paragraph, master wordsmith Truman Capote’s descriptions are so vivid, you are immediately placed in the world of his imagination . . .
Reading a paragraph like that, the words and images are not soon forgotten. 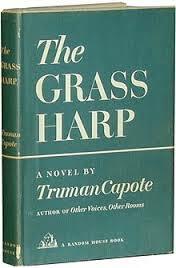 It is Capote’s tremendous gift of language and style, and his ability to “show and not just tell,” that turns the trick. The imagery is so vivid, it is as if he has taken a photograph and placed it in the margins of the page. 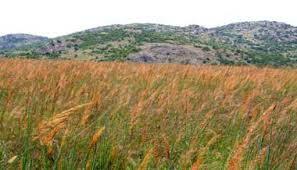 Close your eyes and imagine the field of high grass, the blades swaying in the autumn wind . . .
And yet . 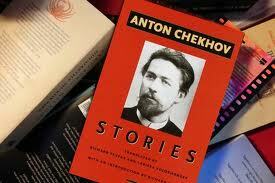 . . for all its merit, “show, don’t tell,” is only half-true. At the end of chapter 8 in The Eye-Dancers, soon after arriving in the variant town of Colbyville, Mitchell Brant meets a girl by the name of Heather. Red-faced and tongue-tied around girls, his speech impediment made worse than ever due to nerves, Mitchell is shocked when she calls him cute. As the chapter ends, he watches her walk away, thinking about what has just transpired . . .
“He just stood there, gaping after her. Thoughts of the ghost girl, of getting back home to his mom and dad and sister were ten billion miles away. “For a second, one beautiful moment in time, he felt like a hero, like the guys at school who all the pretty girls wanted. “He wished the feeling would last, linger like a sweet aftertaste. But he knew it wouldn’t. Not for him. Not for the dork who couldn’t talk right. If you were to analyze this passage through a strict lens of “show, don’t tell,” it would fail miserably. There is a lot of telling going on here. We are told that, for a brief moment, Mitchell feels like a hero and wishes the feeling will last–though, ultimately, he realizes that it won’t. But I would argue it is precisely this quality that sets the printed page apart from the Silver Screen. 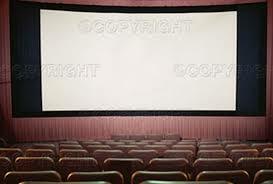 In a movie or a television episode, the creators are forced to show, all the time. Unless there is a voice-over, there can be no “telling” in a movie. In the excerpt above, if The Eye-Dancers were to be made into a film (I can dream, can’t I? 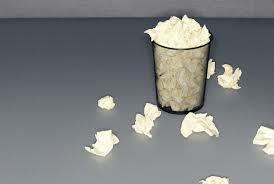 ), maybe we would see Mitchell reaching after Heather’s retreating figure, grabbing a fistful of air. 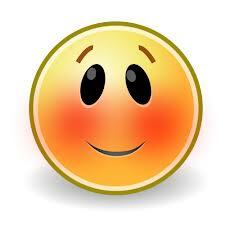 Maybe his expression, initially, would tell us that he is basking in her compliment. But then, with a twitch of the mouth, a downturn of the face, a shake of the head, the actor playing Mitchell would convey his sense that nothing could ever come of it, that the pretty girl he’d just met would never really be interested in him. Maybe. But even if this happens, it wouldn’t be with the same depth that fiction can provide. In a story, a novel, we often go inside the POV character’s head, living with their thoughts, their secrets, their forbidden longings and deep-rooted fears. We get to know them intimately, and in ways we never could in a movie. And how is this possible? Because we are told what they are thinking. 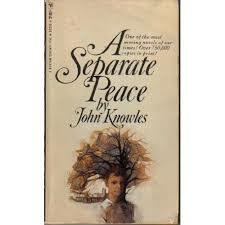 At the start of A Separate Peace, by John Knowles, one of my favorite novels, the main character returns to his old stomping grounds, The Devon School. And he tells us what he is feeling . 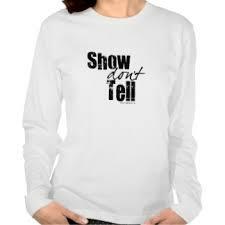 . .
“Show, don’t tell,” would be the appropriate mantra for a movie producer or a screenwriter. But for a fiction writer? There needs to be a blend, a happy medium of internal thoughts and outward displays, interior monologues and sequences where actions do all the speaking. 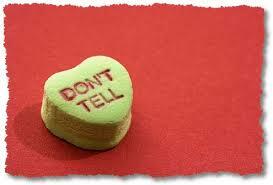 “Show, don’t tell,” is only partially true. When it comes to storytelling, perhaps we should say, instead . . .